This was the last of the pre-war single deckers to be delivered. It was actually delivered after the outbreak of war. Tom Moore reported that Ronald Fearnley, the General Manager from 1933 to 1962, when asked if he had a favourite bus, said that the first of these single deckers, BHP146 was "a very nice bus". 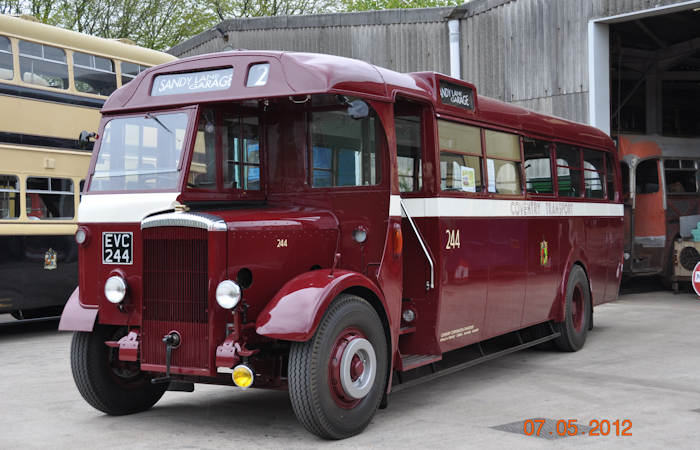 244 is pictured here at the Centenary Event of Coventry Corporation Transport at Sandy Lane on 12 May 2012.